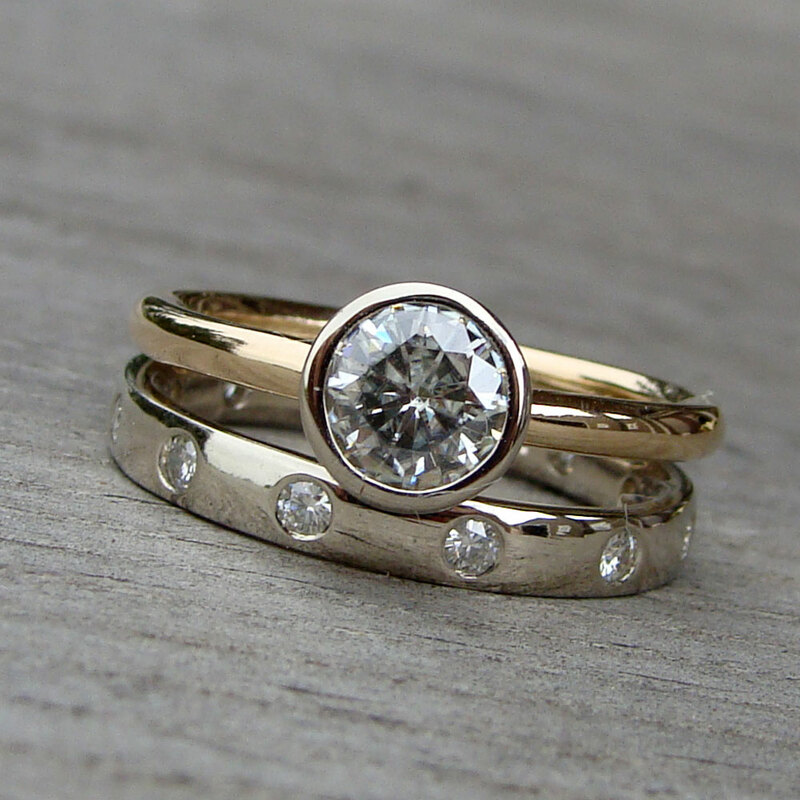 Mismatched Engagement Rings and Wedding Bands, is Okay…. It’s time to stop obeying the age-old notion that gold and silver jewelry don’t go together and start mixing metals! A new bridal trend on the horizon is mismatched engagement rings and wedding bands. Who’s to say you can’t pair a radiant Rose Gold engagement ring with a stunning Platinum wedding band? No bride should have to choose just one metal. There are so many options available to us today in way of design, style, bands and diamond size. Should you need assistance picking out the right ring, diamond or style, contact It’s All About You Events. Although my favorite color is red, I knew from the start that I did not want a red themed wedding. Instead, I decided on the complete opposite of my normal color combos to an all white wedding with hints of metallic sapphire blue! I just love how the white provides such a romantic, elegant and ethereal feel while the icy blue makes the room go from traditional to modern. I took The Knot’s quiz, “Which Wedding Colors Best Suit Your Style?” and the results describe my style as the Princess Bride’s Palette. This palette describes my preferred hues as feminine and always classy. I must say, this palette description could not be more perfect!